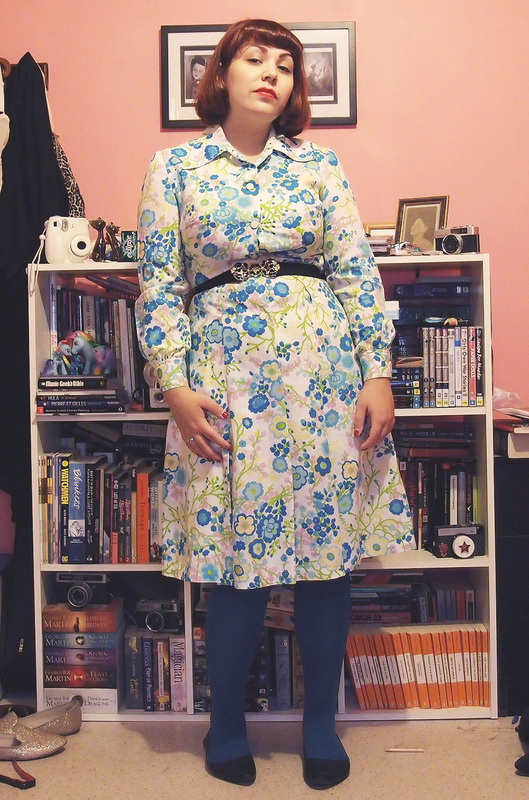 Whilst I'm not entirely happy with the photos for this outfit, I love the outfit itself. When I bought this dress I wondered if it was really 'me' but I've decided that, because I like it, it is. To paraphrase a friend I saw the other week, when we were talking about our personal styles, I'm Andi and I wear clothes that Andi likes. After she said that (using her own name, obviously) I just thought 'yes! That's it!' And I guess that's my style for now. I mean, that seems very obvious and simple but it made something I've been overthinking a lot easier. Ha. I love that the print on the dress looks similar to many prints that made it onto bedding in the 1970s. There were a lot of stylishly printed sheet sets in the '70s! I've said previously that I'm not much of a floral print lover but that's not entirely true. I love the large, stylised florals of the '60s and '70s and their vibrant colour combinations. 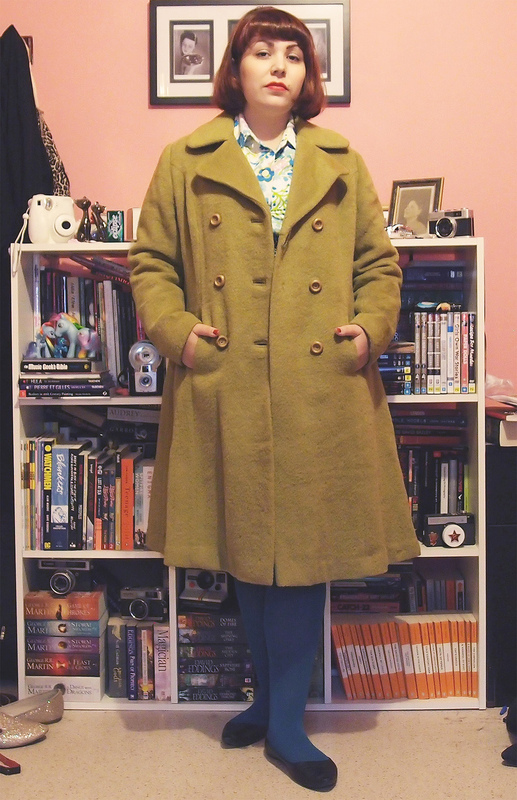 Last week I got sad when I missed a perfect opportunity to break out one of my coats, not really having worn them much last year, so I made sure to drag this out of the trunk it's been in all summer and wear it when I went out last night. It's a great colour. As I wore this dress out last night, which was quite rainy, I felt this song was somewhat appropriate. The video is really neat. And it's one of my favourite songs! Love it! Those kinds of floral prints are my favorite! I like to match tights or shoes directly to a color in the print(like you did). Love the dress and the print. You friend is so right about wearing the style you like. 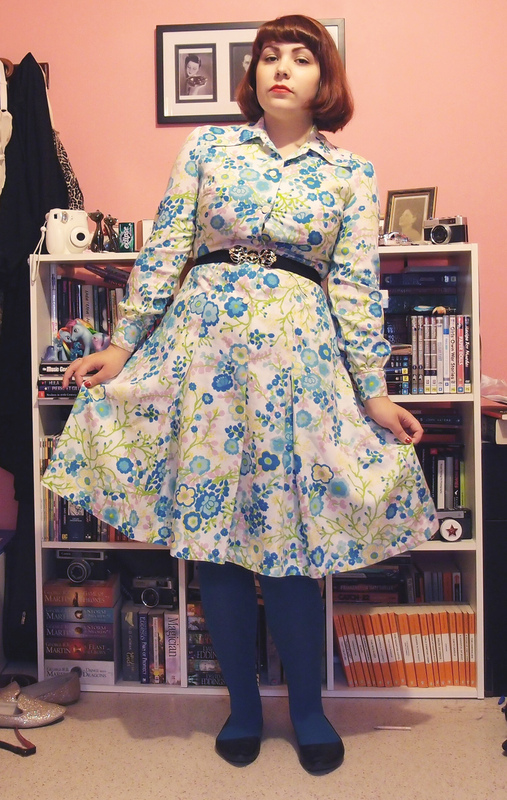 I love 60s-70s florals too. Much more than ditzy prints or modern ones- something about their loud graphic quality which really makes an outfit pop! EXACTLY! If you like it, then it is your "style". As usual you look divine. I especially love the coat. 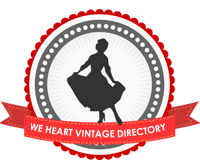 I also have to say I love your blog as it seems all the other vintage gals have those pin up smiles. I can not smile on cue and I look like a total spaz if I try. I also don't smile a lot in real life...thank you for reminding me to be me and stay awesome lady! That's such an awesome outlook on one's style - I'm a firm believer that we should each dress in the way that makes us most happy as often as possible. Have a beautiful weekend, dear gal! Anyone you need bumped off..? Seeking black-market goods? American imports? You just name it..!! !